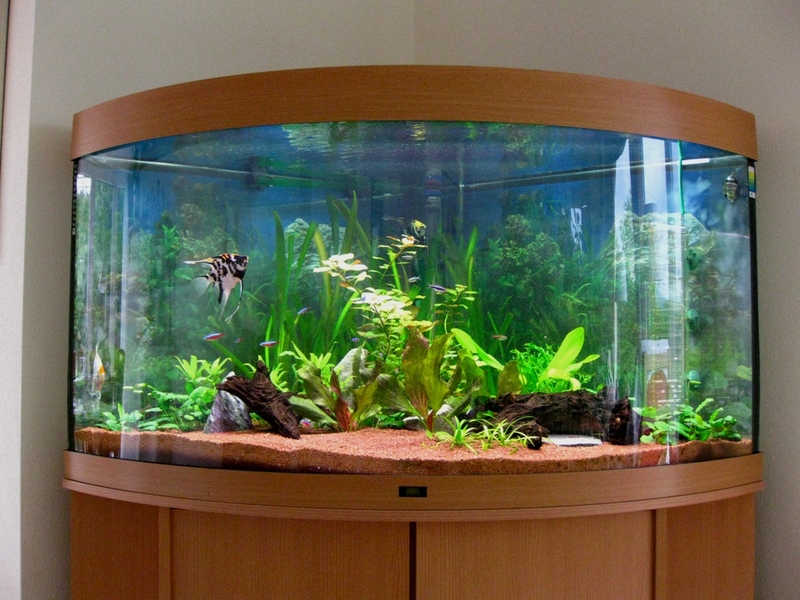 The article concerns the following question – How to Make the Most of Your Aquarium Water. When keeping fish, you use water. There is no way to avoid it, but there are plenty of ways to make the most of the water you do use. Dirty aquarium water can be used to water plants, the aquarium can be covered to lower evaporation, filtration systems can be used to remove particulate matter and convert ammonia to less toxic nitrate, and live plants can be used to convert some of the nitrate into living plant tissue. These methods can be used together to reduce the water use of the tank and to raise the quality of life for your fish. Dirty fish tank water is very good for plants. Because it contains fish waste, it also acts as fertilizer. When I do a water change, I use the dirty water to water any plants that are dry. Using aquarium water as the main water source for my plants, I have successfully grown many types of houseplants using no other fertilizer. The houseplants are healthy enough that they keep growing outgrowing their pots, yet there are no signs of fertilizer burns. The one caveat to using dirty fish tank water is that it is possible it may contain salmonella (Senanayke et al., 2004), and so it should not be used on vegetables that the water will touch directly. 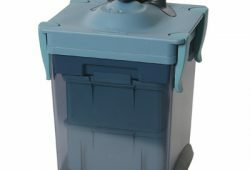 Water from the fish tank can be placed in a separate container so that it can be used at times other than when you’ve just done a water change. An aquarium cover serves two purposes: it serves to lower evaporation, and to reduce the risk of fish jumping out of the tank. Many fish species will jump occasionally, and a jump out of the tank onto the floor is usually fatal for the fish. Tanks should never be completely (airtight) covered as gas exchange occurs at the water’s surface that provides oxygen for the fish to breathe, but a hood over a fish tank certainly seems to do no harm. I’ve noticed that fish tanks with hoods have less water evaporation, presumably because the water vapor recondenses on the cover and runs back into the tank. Most fish tanks these days seem to have filters. 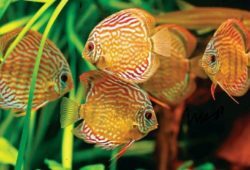 Since filters increase the number of fish you can keep comfortably in a tank of a given size, or if you keep the number of fish the same reduces the number of water changes you have to make, it is not surprising that filters are so popular. I doubt most people are thinking of water savings when buying a filter, but the benefit exists. Biological filters transform ammonia into nitrite and then into nitrate through the actions of bacteria. Live plants use the nitrate that is produced by the filter as a nitrogen source. This means that some of your gradually accumulating toxins will be transformed into living plants which will beautify your tank. However, this will only occur in useful amounts if your plants have sufficient light for proper growth. No matter how many live plants you have, and how good your filtration is, you still need to do regular partial water changes. Having these things simply means that know you won’t be depending on water changes alone to keep metabolic poisons to a minimum. Overall, a small fish tank really doesn’t use very much water compared to many of the other things people do. 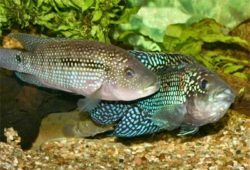 It is only when we get into very large fish tanks or multiple fish tanks that water use becomes an issue for those of us who don’t live in areas with severe water shortages. Still, one might as well use resources efficiently.